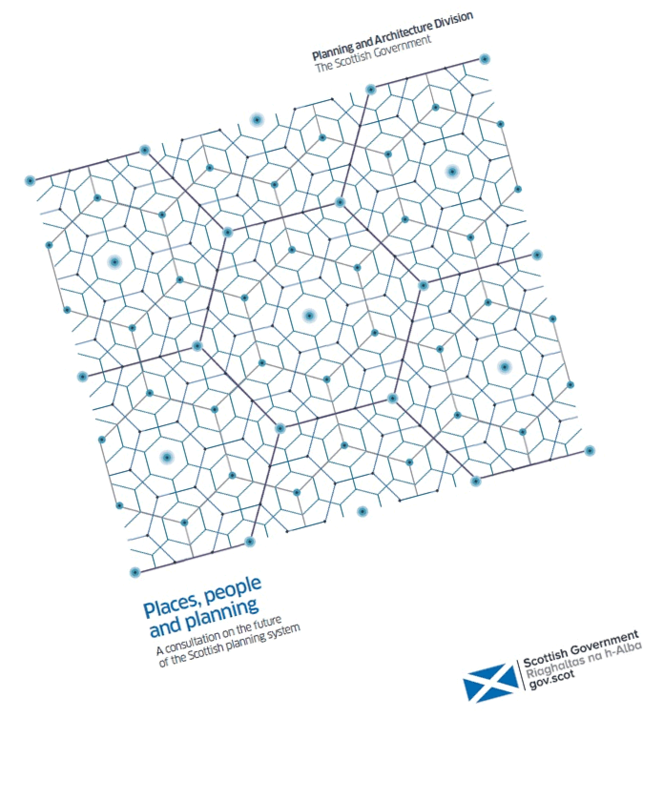 The Scottish Government has published a consultation document “Places, people and planning” which proposes further changes to the Scottish planning system. These proposals originate from the Independent Review of the system which we described in our June 2016 News – click here to view. Some of these changes are significant, and will add to the difficulty, uncertainty and cost of gaining planning permission. This is a brief overview of the proposed changes. Some are in the form of proposals, others are suggestions on which comment is encouraged. Further details of these changes can be discussed with John at PPD. Strategic Development Plans should be scrapped. Instead, local authorities will have duties or powers to work together on defining regional priorities. 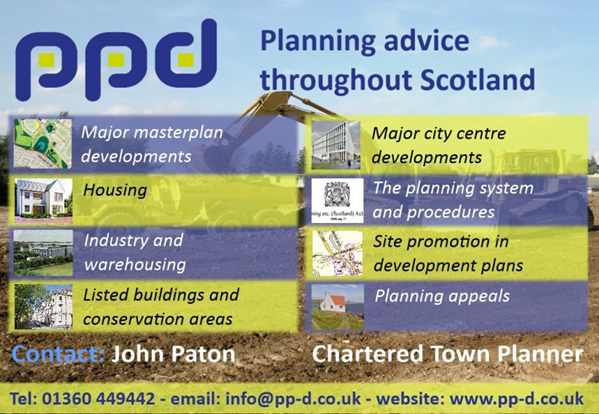 The National Planning Framework (NPF) and Scottish Planning Policy (SPP) should be part of the statutory development plan, or that both are given due weight in decision making through their local implementation. Requiring local development plans to be reviewed every 10 years, but with update provisions. Removing the provisions for statutory supplementary guidance to form part of the development plan (but the document is confusing on this). Establishing a statutory link between the development plan and community planning. ‘Gatechecking’ of the plan by an independent reporter at an early stage before the draft plan is prepared. Unresolved issues would still be dealt with by an examination, before the plan is ‘finalised’ (not sure if this means ‘adopted’ – the commentary on this is confusing). Development proposals which could undermine the plan’s aims will only be supported following additional scrutiny. Should planning permission in principle come with allocated sites within the development plan? (posed as a question, not a proposal). 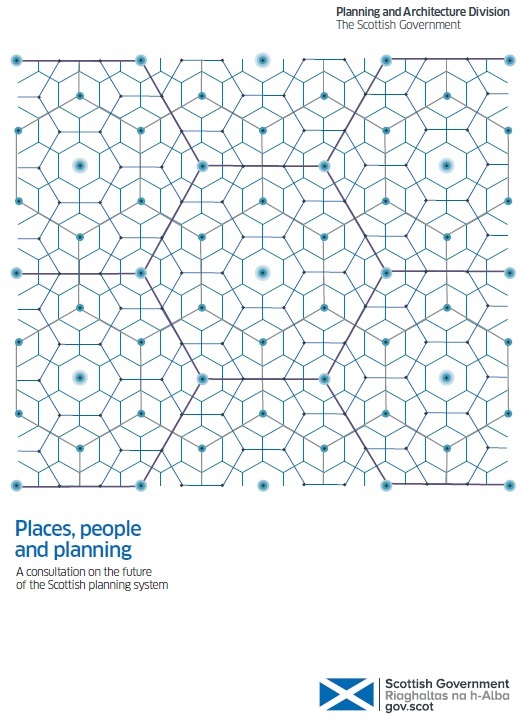 Allow communities to prepare local place plans that set out where development requirements can be met; and place a duty on planning authorities to adopt these plans as part of the statutory development plan if this requirement is met. community councils given a stronger role in planning by introducing a new duty to consult them in preparing plans. Encouraging the preparation of “Simplified Planning Zones” (SPZs) as an integral part of preparing the development plan. Community engagement such as charrettes would be required, and the requirement for a Public Local Inquiry to be held at the end of the process of preparing an SPZ would be removed. The blanket restriction for SPZs in conservation areas would be removed. Improve and clarify the statutory requirements for pre-application consultation for major and national developments, for example to require developers to hold more than one public meeting. Removing the applicant’s right to submit a revised or repeat application at no cost if an application is refused, withdrawn, or an appeal is dismissed. Expanding the range of planning applications which are subject to local review. Making provision for a wider range of other consents to be delegated (and therefore subject only to local review). Enhanced service standards or fast tracked applications where a higher fee is paid and accompanied by a processing agreement. Could there be scope for decisions on major developments which accord with the development plan to be determined under delegated powers and therefore only able to be reviewed by the local review body? (posed as a question). Should provisions be made to allow flexibility on the duration of planning permission in principle, by introducing powers to amend the duration after permission has been granted? A revised (much higher) maximum fee. Substantially increased fees in cases requiring retrospective planning consent. Higher fees for applications relating to sites not supported by the adopted local development plan. Charging for appeals and reviews of decisions. Agencies who have a critical role to play in the development management process having the ability to charge fees (this would presumably cover council departments such as environmental health and roads, and national bodies such as SEPA, SNH, HES, Transport Scotland). Discretionary charging, including for pre-application discussions. Discretionary charging for establishing Simplified Planning Zones. Removing the developer’s right to submit a revised or repeat application at no cost. Removing provisions for recovering advertising costs and including these within a revised planning fee. Arrangements for funding of relevant central government functions such as the eDevelopment programme and other elements supporting operation of the planning service in Scotland provided by the Planning and Architecture Division. Improving clarity and ensuring the fees structure is proportionate and reflects the types of development coming forward. Development which helps to meet a wider commitment to reducing emissions that cause climate change. These could be wide-ranging and include different types of microgeneration equipment; installations supporting renewable heat networks; cycle networks, parking and storage; and facilities to support low carbon and electric vehicles. Development which supports the resilience of the farming sector. This includes polytunnels and changes of use from agricultural buildings to housing. Allotments and community growing schemes. Changes to the use of premises within town centres to stimulate vitality. Elements of development within the aquaculture sector. It should be made easier for planning authorities to recover costs associated with taking enforcement action. Financial penalties for breaches of planning control should be substantially increased. The Government wants the release of more ‘development ready’ land for housing. Being clear about how much housing land is required. The Government believes that there is a need to change the way we plan for housing – too great a focus on debating precise numbers rather than delivering development and creating good quality places to live. Encouraging the preparation of “Simplified Planning Zones” – see above. The Government is determined to see more land across Scotland in community ownership and have set an ambitious target of reaching one million acres by 2020. It wants to see a clear, accessible, effective and efficient system of legislation and policy which allows for the compulsory acquisition and purchase of legal interests in land and property for the public benefit. It asks whether a development land tax approach could help to tackle the issues associated with sites being held in the hope of improved market conditions. Such an approach would require sites to be released or a tax paid. It should be applied to most development types, with some potential exemptions. Permission to adopt and put in place a charging mechanism is granted by Ministers based on the submission of a business case prepared by the planning authority/authorities. The income from the charge should be collected locally. The fund will not replace national level infrastructure investment, as defined in the Infrastructure Investment Plan and National Planning Framework. The fund will not replace site specific contributions which are needed to mitigate the impacts of individual developments not covered by the levy and secured through Section 75 planning obligations or other methods.